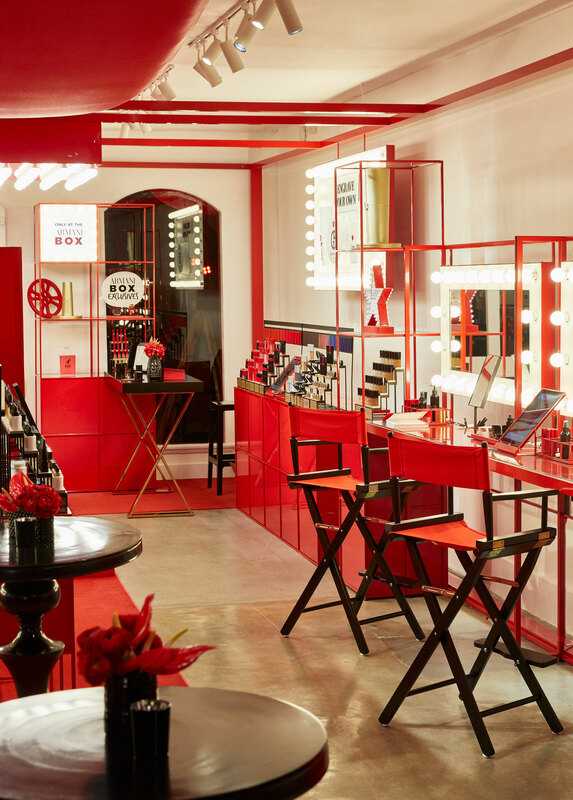 Last night, Giorgio Armani Beauty hosted the launch of its ultra-glam traveling pop-up, Armani Box, on Melrose Avenue in West Hollywood. Open until March 24th, 2019, Armani Box is a totally immersive, interactive, and, tbh, mesmerizing pop-up shop with a seemingly endless list of things to do upon walking through the doors. 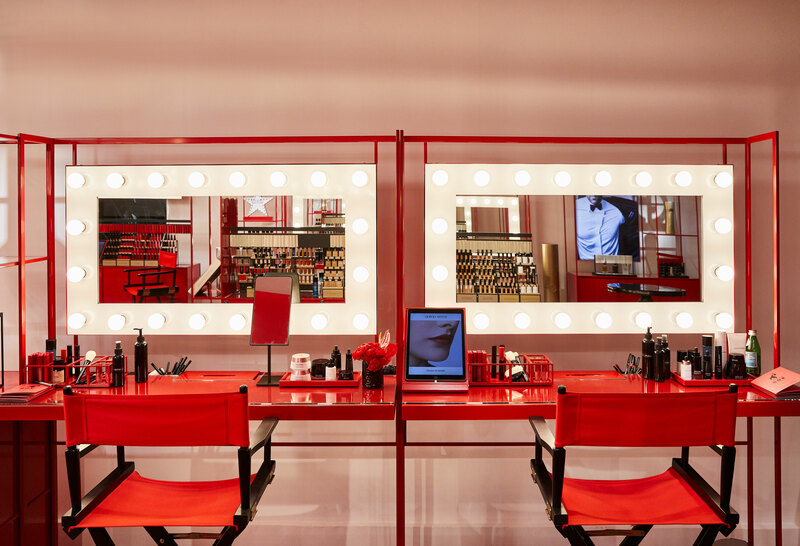 From virtual makeup application stations, to iPads that can record and post your makeup consultations on social media (essentially creating a makeup tutorial video for you—and you don’t even have to do anything), to vending machines filled with some of the most iconic Giorgio Armani Beauty products, you can be sure that you won’t run out of things to do in the chic red space. Makeup and Armani fragrances line the walls of the Armani Box, and you can also receive makeup touchups from Armani makeup artists. Even better? A VIP room can be booked for personal shopping appointments. 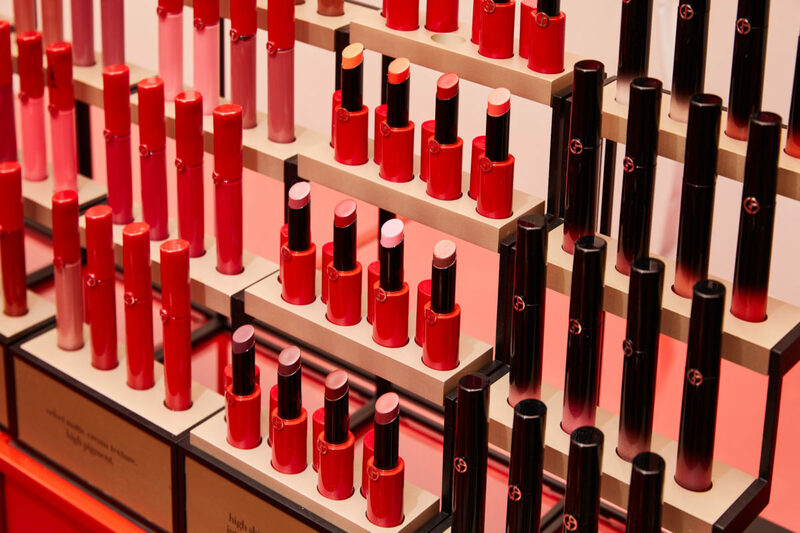 New products like the Giorgio Armani Power Fabric High Coverage Stretchable Concealer and Foundation Balm are also available to shop, and you can get your lip products engraved with your name before you leave. In case all of that somehow didn’t sell you (rly? ), Armani Box also serves as a temporary home to Uri, a giant gold gorilla statue, created by Italian artist Marcantonio Raimondi Malerba. 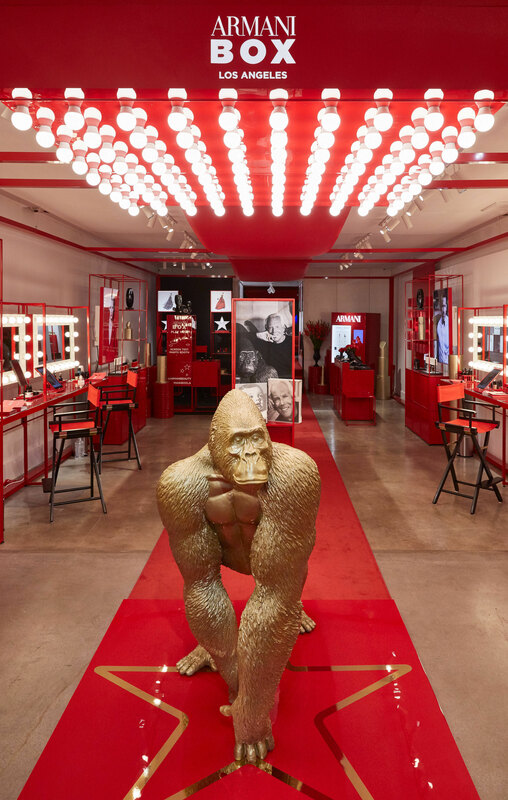 The gorilla is a replica of a black one that’s in Giorgio Armani’s house in Milan. 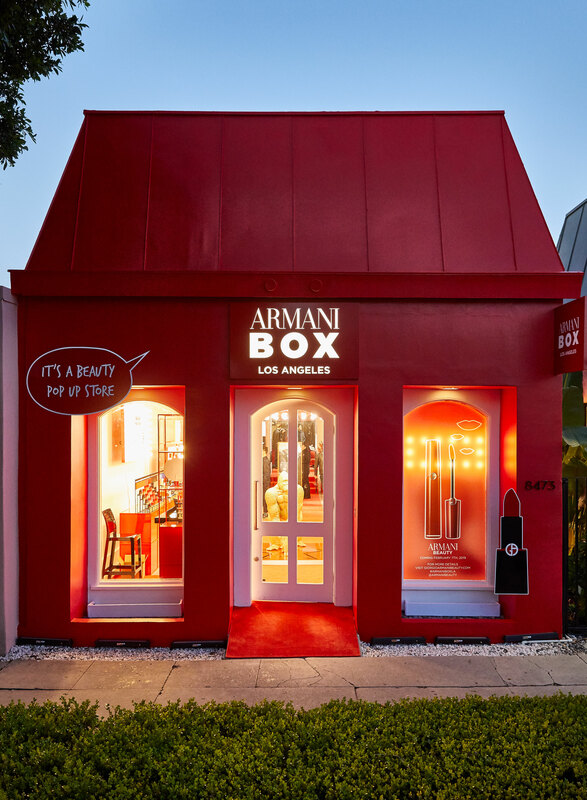 The Armani Box is located at 8473 Melrose Place in West Hollywood, California.